Mouth watering voices present a deliciously entertaining show incorporating a pre-dinner hoax and a range of lip-smacking classics! Simply scrumptious! A Maitre-d approaches the lectern following entrée and announces to the unsuspecting audience that the evening's entertainment has been delayed. 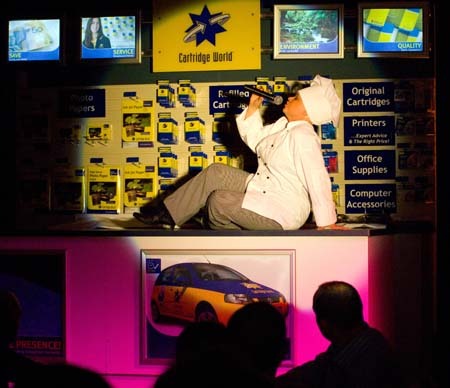 He cleverly pulls together an impromptu floorshow involving a waitress and a larger than life chef. The cast work the crowd with quick wit and stunning voices having interacted with guests dressed as members of staff during food and beverage service from the start of the event. 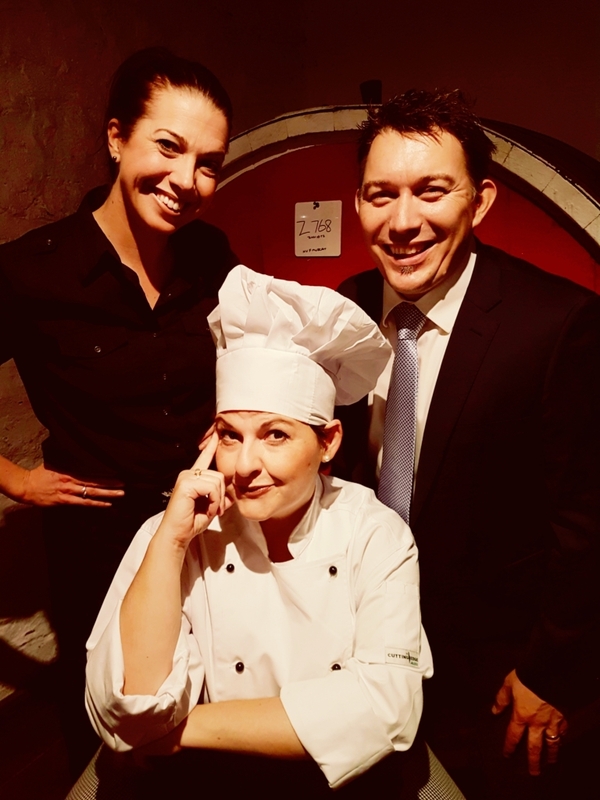 "Culinary Cabaret" presents a mix of music theatre, disco and opera including amazing renditions of "Phantom of the Opera", "Don't Leave Me This Way", "The Prayer" and "My Way". 20 minute vocal performance following a pre-dinner hoax involving chef, waitress and maitre-d.